A man accused of making a hoax call that led police in Kansas to kill an unarmed man was indicted by a federal grand jury along with two others involved in the "swatting" incident that stemmed from a video game dispute, prosecutors said on Wednesday. Swatting is when a caller falsely reports an emergency requiring a police response. Using a false name, Tyler Barriss, 25, of California, contacted Wichita authorities and reported that after a fight between his parents, he had shot and killed his father, held his mother and brother at gunpoint and threatened to light the house on fire before committing suicide, according to the indictment unsealed on Wednesday. A Wichita police officer fatally shot Andrew Finch, 28, after law enforcement officials rushed to his home following the false reports. On Dec. 28, Casey Viner, 18, of Ohio, got into a dispute while playing an online game with Shane Gaskill, 19, of Kansas, the indictment said. Viner, upset at Gaskill, contacted Barriss and asked him to make the false report to police at an address provided by Gaskill. Viner did not know the address Gaskill provided was an address where Gaskill no longer lived, but Gaskill did and Gaskill continued to give the old address to Barriss, prosecutors said. After media reports of the shooting, Gaskill urged Barriss to delete their communications and Viner wiped his phone, the indictment said. Lawyers for Barriss, Viner or Gaskill could not immediately be reached for comment. U.S. Attorney Stephen McAllister told a news conference on Wednesday that falsely causing police to respond to the address of an innocent person or family was not a joke or prank, but a federal crime. "Moreover, such behavior is simply irresponsible and immoral," McAllister said. Barriss was charged with conveying false information and hoaxes, cyberstalking, threatening to kill another or damage property by fire, and transmitting interstate threats, the indictment said. Barriss and Viner were charged with conspiracy and several counts of wire fraud, the indictment said. Viner and Gaskill were charged with obstruction of justice and conspiracy to obstruct justice, and Gaskill was also charged with wire fraud and additional counts of obstruction of justice. The false hoax charge carries a maximum punishment of life in federal prison while other charges carry sentences of up to 20 years, McAllister said. 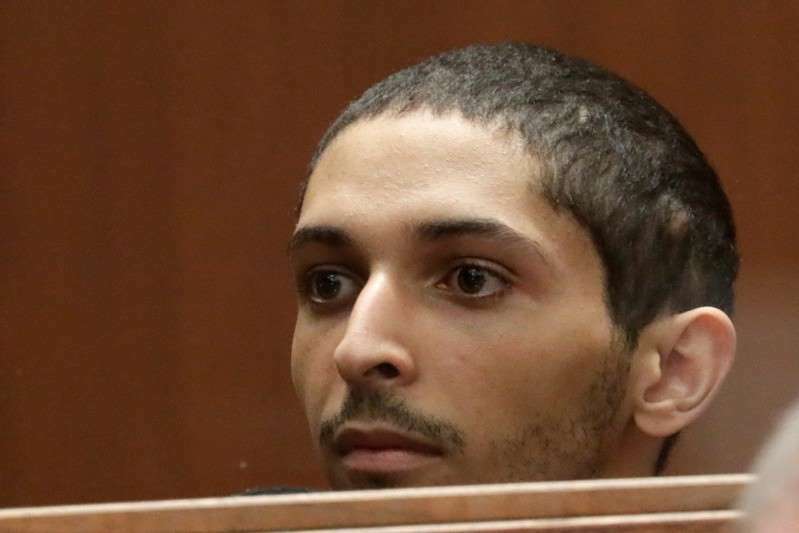 Barriss had already been accused of swatting, and was previously charged locally with involuntary manslaughter, giving a false alarm and interference with law enforcement. He is set to be arraigned next month.